Luxury magazine dedicated to the Karloff classic. BUY THIS PRODUCT WITH OUR WOLF MAN 1941 ULTIMATE GUIDE AND SAVE ON COVER PRICE AND SHIPPING – CLICK HERE! 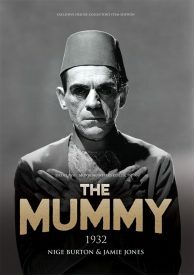 This book, the fourth in the Classic Movie Monsters Collection, celebrates Karl Freund’s iconic 1932 production of The Mummy, the film which cemented Boris Karloff’s superstardom, billing him as Karloff the Uncanny. 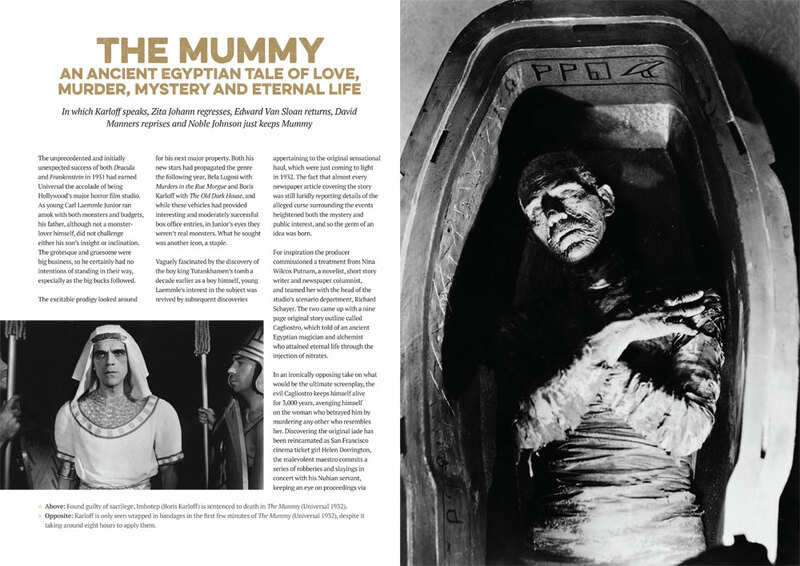 Called simply The Mummy 1932, it is beautifully written and illustrated with a wealth of stills and posters. 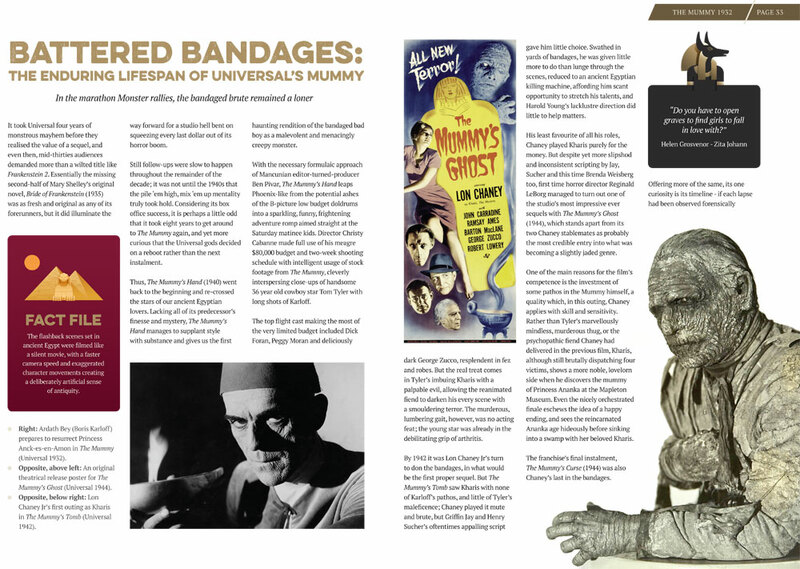 Author and horror film historian Nige Burton traces the story of Universal’s need for a new monster, through to the movie’s present-day status as a defining factor in the way we perceive ancient Egypt. 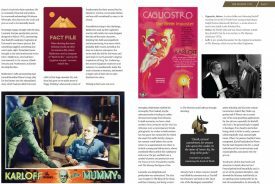 Within these lovingly designed pages you’ll discover the backstory behind one of horror cinema’s most enduring monsters, as well as the diverse stories unfolding behind the scenes, and cast and crew biographies. 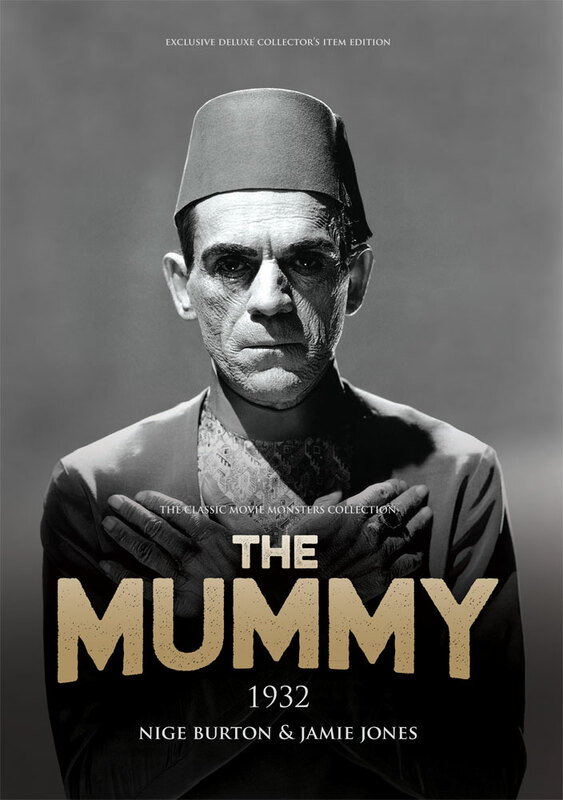 The Mummy 1932 is the perfect reference guide for any fan of this highly respected Universal classic. 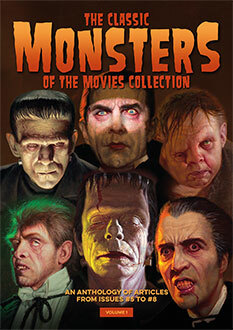 Brilliant, the reproduction of the film poster on the back is superb. Loved it! Great behind the scenes info and insight into the significant players who brought this great film to life! Photos were outstanding.